If you’ve gone shopping for CPAP masks recently, you’ve probably realized one thing: there are a lot of masks out there. No matter if you are a newbie CPAP user or a pro, shopping for a new mask can be intimidating – much more intimidating than being in the produce section at the market. What’s the difference between a globe tomato and an heirloom tomato, anyways? 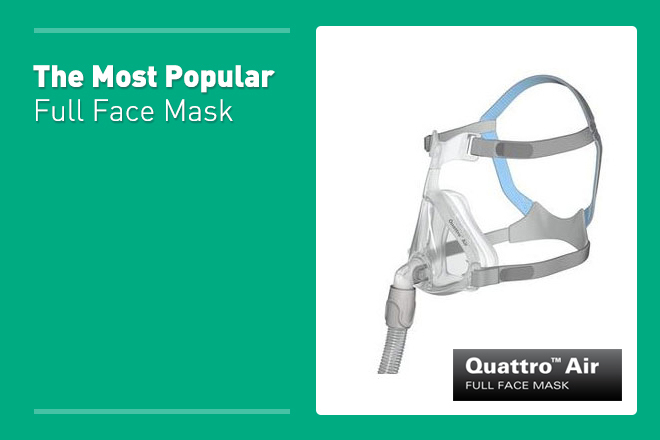 Well, to make shopping for a new CPAP mask a little easier for you, we’re going to highlight three of the most popular masks on the market right now. 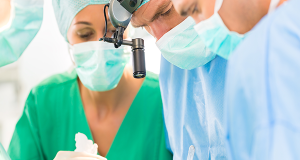 Right now, the Mirage FX Mask System is taking the lead when it comes to nasal masks. Not only is it lightweight – it is also a totally streamlined mask system with only four parts that assemble and disassemble with unsurpassed ease. This mask was also designed to feel seemingly weightless on your face – many people have reported waking up in the middle of the night and forgetting they were even wearing a mask in the first place. And thanks to the butterfly wing forehead support, no plastic is actually touching your skin. Plus, you have the squeeze-tab elbow, which makes attaching the hose a breeze. Not only that, but the Mirage system has a diffused vent design, which makes this mask whisper-quiet. Fans of this mask also report feeling more freedom to roll around in bed, which is great for those restless sleepers. The Mirage FX Mask System is also a great mask for new CPAP users looking for a comfortable, less claustrophobic CPAP experience. In the end, though, this mask is perfect for any CPAP user who appreciates extreme comfort and streamlined design. Nasal pillows masks are designed to be unobtrusive and they are built with the idea in mind that less is definitely more. That is the case with the Swift FX Mask System, which is one of the most popular nasal pillows masks on the market right now. Many users have reported how remarkably comfortable this nasal mask is – namely because it almost feels like it isn’t there, which is perfect for cozying up in your bed and drifting off to sleep. Also, with this mask’s unique pillow design and flexible chamber, it is the ideal mask for side sleepers who are looking for a more comfortable CPAP experience. Not only that, but the Swift FX Mask System is also perfect for all those guys out there sporting a mustache or beard. So if, you are sporting a ZZ Top-style beard or you’ve lost a bet and can’t shave for an entire year, this is probably the mask for you. It is also important to note that this mask is also ultra-quiet – in fact, sound levels have been reduced by up to 25 decibles, so this mask will also offer one of the most serene CPAP experiences you’ve ever had. Many people wonder why full face masks would be popular, especially considering there are less obtrusive nasal and pillow masks on the market. The truth is, though, that full face masks can be just as comfortable – just look at the Quattro Air Mask System, which hails as the lightest full face mask on the market. When it comes to full face masks, comfort is obviously important, but you also want to take into consideration a few other factors as well. 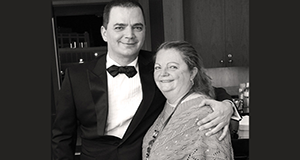 For instance, if you are a mouth sleeper – meaning that you sleep with your mouth wide open – you will need a full face mask the get the adequate amount of CPAP therapy that you need. The Quattro Air Mask is amazing because it was designed with ultimate comfort in mind – you have a dual-wall cushion that makes the mask feel more comfortable against your skin, you have the diffused vents that make the mask quiet and you have the flex-wing forehead support that allows the mask to feel light as a feather on your face. Not only that, but this mask only comes with four parts, which means less maintenance and easy cleaning. After upgrading to the Quattro Air Mask System from previous generation mask systems, users report not having any issues with leaks, skin irritation or some of the more common problems that comes along with older, poorly designed full face masks. The great thing about having so much variety when it comes to CPAP masks is that there is literally something for everybody. If you are having trouble finding a traditional mask in the categories of nasal masks, nasal pillows masks and full face masks, you may want to think outside the box and explore some niche options. People who have purchased these masks become immediate converters and swear to never use another mask ever again. For instance, the TAP PAP Nasal Pillow Mask System is popular because it eliminates many of the more common problems that people experience with other masks, like leakage and discomfort. Also, the hose on this mask system runs in the opposite direction – over your nose – and attaches to a clip on the headgear. 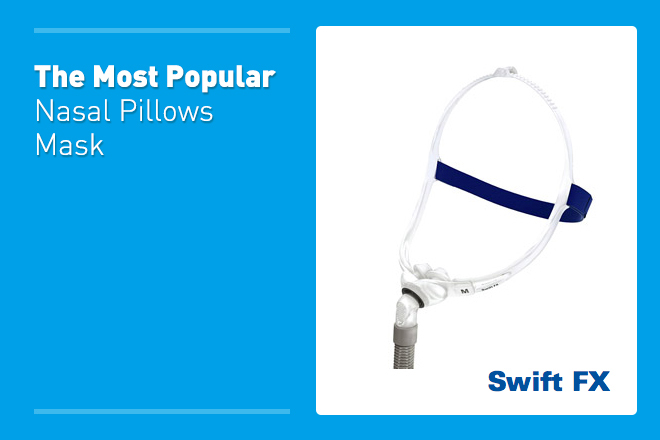 This can be ideal because it gives you more freedom of motion when you sleep. Another mask that seems to float over your face is the Breeze SleepGear Mask System, which does not have any straps at all – it uses the contour of your head to stay on, which can offer a totally non-restrictive CPAP mask experience. Plus, this mask is ultra-quiet and ultra-comfortable with unique cushions that that allow for maximum comfort. When all is said and done, if you are drowning in the endless sea of choosing a CPAP mask, it is important to nail down whether you are a nasal mask kind of person, a nasal pillows mask kind of person or a full face mask kind of person. 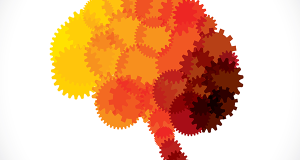 That is your first step in simplifying the whole process. 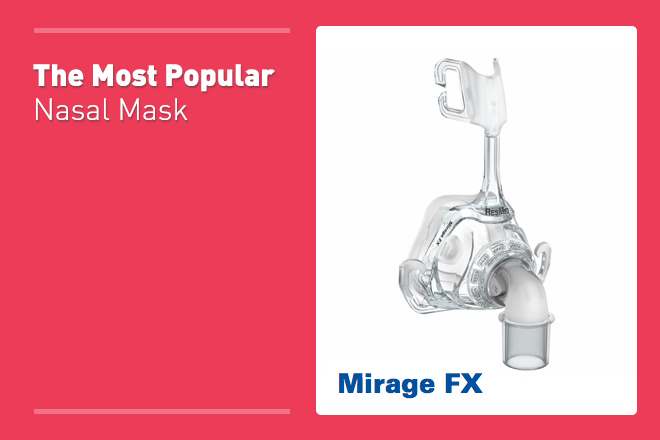 Right now, the most popular nasal mask on the market is the Mirage FX Mask System, the most popular nasal pillow mask is the Swift FX Mask System, and the most popular full face mask is the Quattro Air Mask System. 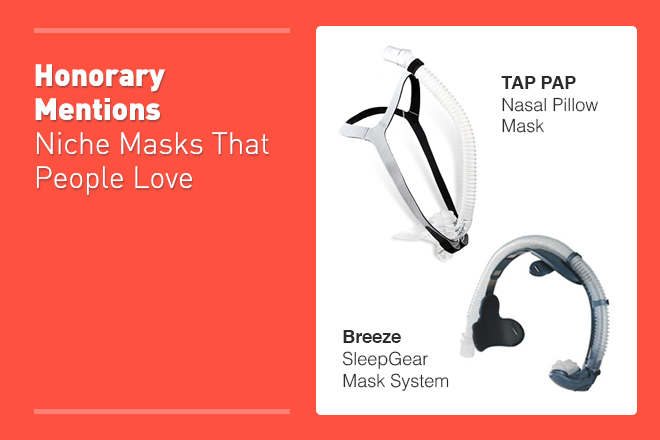 You can also choose a niche mask, like the TAP PAP or Breeze SleepGear. All in all, though, there is a definitive trend within all these masks: extreme comfort and ease of use. By choosing a mask in any one of these categories, you will have a more comfortable CPAP experience and you’ll get the most out of your treatment – plus, you’ll look good doing it too. Previous: Philips Respironics Slashes Price of Amara Full Face Mask System: Get One Today!